Summer is just so intense, don't you think? I personally would like to give up with skincare because extra moisture is just making me sweat a lot. On the other hand, I commend Vaseline's marketing strategies because they just release a new lotion variant we're all probably curious about. I find the product not just very timely but unique as well--it's going to be the first time I'm ever trying a UV gel body lotion that's cooling because it's infused with cooling menthol! Woah, I've only heard it with shampoos. But have you ever tried something similar? I never had so don't hold it against me. I tried Vaseline Healthy White Fresh and Fair Cooling UV Gel Lotion yesterday and it indeed feels cool on the skin. It also dries very quickly without leaving any sticky, greasy residue. Aside from this, it is loaded with skin-friendly nutrients like 10x Vitamin B3 and SPF to protect skin from external factors. It's also infused with micro-droplets of Vaseline Petroleum Jelly that moisturizes and repairs skin from within. Definitely a summer must-have! Vaseline Healthy White Fresh and Fair Cooling UV Gel Lotion is available in three sizes: 350ml (P318.50), 200ml (P202), and 100ml (P116) and you can try them for FREE when you visit www.sampleroom.ph. Here's another quick brush review of something I got from Real Techniques last year! One of the best brushes I own are from this brand and I'm glad that these pieces are inexpensive and are available both off and online. Just be careful though because there's always a copycat for every great thing. Despite being offered at a cheaper price on some other local sellers, opt to spend a little extra bucks for trusted retailers and official shops in leading e-commerce sites like Lazada, Zalora and Shopee. If you're budget is a little tight, wait for the sale season because prices drop like crazy. Real Techniques Sculpting Brush is housed in a transparent plastic packaging--very typical for RT's both individual brushes or brush sets. Handle is sleek and in fuchsia pink in color and I like that it's bold so it's very easy to spot on. The bottom is made of a rubbery texture which my only concern is that it easily attracts dirt and dust that's hard to get rid of. The brands's name and type of brush is printed in white so you can read it clearly. I just don't like the fact that the letters can be easily rubbed off. The brush is of standard size so it's easy to grip and move around the face. It's also lightweight so it's perfect for travels. The bristles are synthetic and is very soft and they don't prick the skin at all. They are kinda dense but not too much so it easily disperse product onto the skin whether it's liquid or powder. It picks up a good amount too so re-dipping will be minimized. The problem with brushes with bristles that are densely packed together is felt during cleansing. Makeup residues are stocked in between and they can interfere to how you apply other products with it. I appreciate the fact that this sculpting brush is easy to clean with a brush shampoo. I love this sculpting brush and the fact that Real Techniques always make sure their brushes stays in great shape even after several washing. I had washed mine several times but there's not much difference on the quality of the bristles. There are little to no fall outs so I'm pretty sure I'll keep it for a long, long time. It's very easy to work with and aside from being a contour brush, I like that I can also use it for blush! Definitely a must-have! You've probably heard it from your moms and grannies that oils in general are compounds that are beneficial for the skin. So here I got myself a Human Nature Sunflower Beauty Oil that's one of the brand's bestseller. It was recommended by a colleague and so then I purchased the largest container available. At first, I was hesitant how I'd use it because I'm not really comfortable using oils given the fact that I have extremely oily skin and the weather we have here in the Philippines just makes things more incompatible. I also get adverse reactions whenever I try to incorporate oils in my routine. Name all the oils notable in skincare and I've probably tried it all but always ended up wasting them or putting them to other uses away from my face. 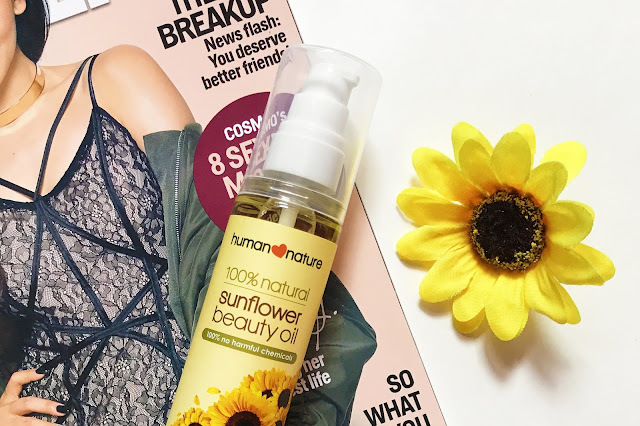 Still, that doesn't stop me from trying which is why you should let me share with you what I think of this Human Nature Sunflower Beauty Oil and how I use it. According to the brand, this product is 100% natural, is hypoallergenic and fragrance-free. It's also recommended to people who are targeting dull and dry skin because of its brightening and moisturizing properties. Also rich in nourishing Vitamins A, D and E, this holy grail has earned its place as a well-known and well-loved miracle worker. Aside from that, it's labeled as an oil that has whopping 25 miracles that works wonders from head to toe! I really love the overall look of the product and I think anyone would agree that the design is very dainty. It also has all the information that you'll be looking for such as the claims, ingredient list, direction for use and expiry date. It comes in a pump bottle so it is very easy to use though I don't think you can bring it and stock up on bags and luggage without leaking through the pump. You may opt to decanter a few amount on a completely enclosed bottle. SO HOW I USE IT? Most of the benefits mentioned above requires long-term use and still depends on the compatibility of your skin to the product. Nonetheless, you can count on this oil to moisturize and hydrate very dry skin anywhere in your body. It's inexpensive so you won't find it very wasteful if you slather a lot on your skin. I sometimes dilute it with other moisturizers when I feel like I need extra hydration for my soles and palms. I would also pump a very small amount on my palms, rub it in and apply to the hair for some shine and it works to provide moisture for a long time. I also mix several pumps on ready-to-use hair spa products for extra nourishment and my hair will look sleeker and softer after the treatment. When I ran out of makeup remover, I opted for my Human Nature Sunflower Beauty Oil as a makeup remover. It won't remove waterproof makeup with ease but is perfect as a cleanser for light makeups while making your skin look plump and healthy. Do take note to wash your face right away with a facial wash to avoid nasty pimps especially if your skin in not very compatible with oils (like me!). Luckily, it did not clog my pores and I don't think it will because according to a test conducted, it passed the comedogenic scale and doesn't contain pore-clogging properties. You may read the article here. I don't wear foundation nowadays when it's just work I'm going to, but I still use oil cleansers as a first step in removing dust, dirt and oil from my skin especially now that pollution and commute are tough and real. I think one of the best practices I do with this product is applying it as a calming moisturizer after waxing my armpit. Also, I would at least, twice a week, would pump a generous amount on a cotton ball and cleanse my armpits to remove all traces of dirt and sweat, deodorants and dead skin cells accumulated overtime. You know it's working because you will see traces of dirt on the cotton balls once you swipe it with a little pressure. It lessens odor, at the same time, removes all kinds of impurities that makes skin look dark and dull. Doing this will give you a clearer, softer and smoother underarms! This product is not named as a beauty oil for nothing. It's a product that you think you don't need but comes very useful when you have it. If you love essential oils so much, it would be best to also include carrier oils like this in your stash to dilute the product into to lessen the concentration and avoid any adverse skin reactions. With this, I hope it's clear that, yes, I highly recommend this product from Human Nature and will definitely repurchase! Oops, I'm into my third bottle already actually! I couldn't stop watching YAMD (You Are My Destiny) episode by episode but then again, I remember I've been slacking off the past few months and so I have to make up by writing and posting all drafted blogs and un-uploaded pictures. Here's another product review that's over due. I've accidentally deleted the initial pictures I took for this product so I had to retake and upload just by now. This is one of the items I got during my Althea Haul last December together with the Laneige Clear C Advance Effector Ex if you saw my Instagram story. This is another cult-fave in the Korean Beauty scene and I got it for 30% off in the website since I bought it together with an essence also from the same brand. Get that dewy,supple and clear complexion with Missha Time Revolution Night Repair Borabit Ampoule. Its key ingredient Bifida Ferment Lysate is a fermented yeast that visibly reduces signs of aging and improves skin elasticity. This anti-aging serum is often compared to Estee Lauder Advanced Night Repair as its less expensive dupe. 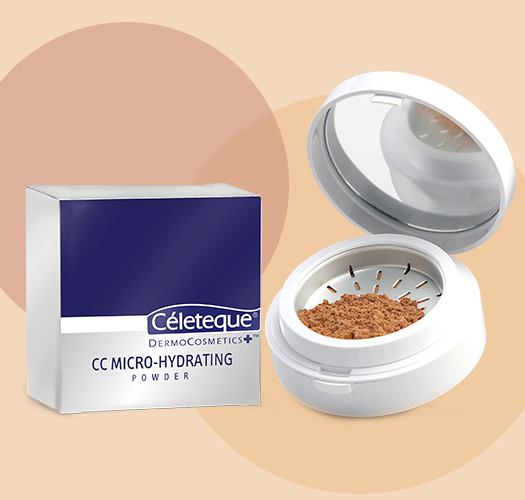 It is gentle enough for those with sensitive and acne-prone skin. I know anyone would agree if I say that the packaging is really pretty. I mean look at that purple packaging! It comes in a cardboard box and a manual inside. It has a dropper that dispenses product easily and allows you to control the amount to use every application. The rubber attracts dust and dirt but you can just simply wipe it clean with some wet wipes. The overall packaging is really beautiful and you can place it on the front line of your vanity without any problem. The only downside is that it's not very travel-friendly as it's made of glass so it would break any moment. Unlike other Korean products, I'm surprised that it has English translation so I'm getting an idea what I'm putting on my skin without having to utilize Google. It has a mild scent and the ampule is light brown in color. I don't know if it's just me but it seems to oxidize gradually, turning to a deeper brown in shade. Despite that, it still performs well. Texture is soft like what you would expect with ampules and consistency is quite thin and runny but not to the point that it's dripping. Since this is an anti-aging product, I kind of expect that it will be a little heavy on the skin. It feels a little sticky once applied but fades eventually after a few minutes. It warms up the skin so it's a bit annoying to apply during summer but I think if your skin is leaning more towards dry, this will provide just enough hydration. Because I have oily skin, I only limit application during night time, probably about every other day because it makes my pores produce so much oil. This is a highly concentrated ampule and is said to be a great dupe for the ever-popular Estee Lauder Advanced Night Repair Serum with about half the price I haven't tried the latter so I couldn't compare but it must be good for everyone's raving about it. Missha's ingredient list took me forever to read and I'm not very good at distinguishing what's unique about each and every ingredients but combined together works to make skin sleek, firm, even and healthy. The key ingredients though are the four (4) types of Ferment Lactobacillus Complex that contains Purple Energy Lactobacillus Ferment ingredients. I won't pretend I know and understand what they are but doing a quick search enlightens me. They work to repair, prevent wrinkles and lighten skin. I am still in my early 20s so I don't have that much fine lines to worry about. Nonetheless, prevention is better than cure. It's best to combat early signs of aging. 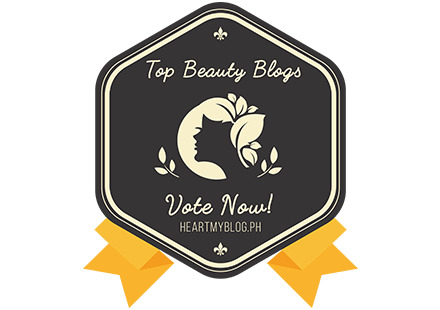 Using it religiously, I noticed my skin plumping up and skin's softer and smoother. Also, it really is hydrating, makes skin more elastic and boost skin's radiance overtime. Whenever I use it at night, my skin has that morning glow. Despite the slightly thick texture, it did not clog my skin and cause breakouts. A drop is sufficient to moisturize the face and neck area so I think it's worth the price tag after all. I'll keep using it to keep my skin hydrated but I'm still thinking of whether or not I'd repurchase since it's going to be making a dent on my pocket. If you have the budget, go and splurge! It works well in restoring skin's vitality and gives it a youthful glow. In my last January Althea Korea Haul, I got myself a moisturizer that's been loved by so many. I was contemplating whether or not I should buy one considering the price point is no joke. It only has 50 ml of product so I was thinking that the amount and price point ratio is ridiculous. I, then, caved in because of an Althea coupon code and credits available so I was able to snag it at a discounted price. I had to check other websites prior to purchasing and because of the perks, I was able to get it cheapest in Althea. I tried it immediately and now I'm ready to give my final thoughts about it. Please keep on reading after the short break! Product comes in a jar type of packaging. It's accompanied with a cardboard box that has information about the product. Jar is opaque white, has a sleek black cap and an inner seal for protection. It's kind of bulky so I don't think it's best for travel unless you can decant a few amount on a empty jar. I like that it's sturdy though that you can still reuse even after you consume everything. I also expect it would at least come with a spatula so I don't have to dip my finger in and out for each application. Unfortunately, that seems to be the case. Expiration date is printed on the bottom of the jar. It has a long shelf life. I could have stock it up but you just can't help it when it's cult-fave (haha!). I really like the fact that it is indeed very lightweight, it dries quickly without any sticky residue though it provides warmth and hydration to the skin very instantly. It's luxuriously blendable and makes a good makeup base as foundation blends a lot easier on the skin. I appreciate the fact that it's loaded with tons of herbs and extracts and is mineral oils, synthetic fragrances, dyes, preservatives or animal origin ingredients- free. One notable ingredient I wasn't familiar with until this happened is the Lady's Mantle Extract which according to Althea, is a special herb that's packed with antioxidants to protect the skin from free radicals and minimize pores. It also has Plantoin which creates a moisture barrier to prevent dehydration and Oat Husk Extract that calms irritation and hydrates the skin. All of which are true except for the fact that it does nothing significant in terms of tightening or minimizing my pores. I don't think anything can minimize my pores permanently but what I know is that it makes them more refined and it balances my oil secretion. This cream definitely boosts skin hydration and is very mild and calming so I think anyone can enjoy it's skin benefits whether you have oily, dry or sensitive skin types. I did not breakout after using it for a month and using it in conjunction with Laneige Clear C Advance Effector Ex helps me fight hormonal breakouts and scarring. My skin looks more supple and healthier with religious use. Despite the tiny content, I think it's worth the price after all. A little goes a long way so I am sure this will last a long time on your vanity. 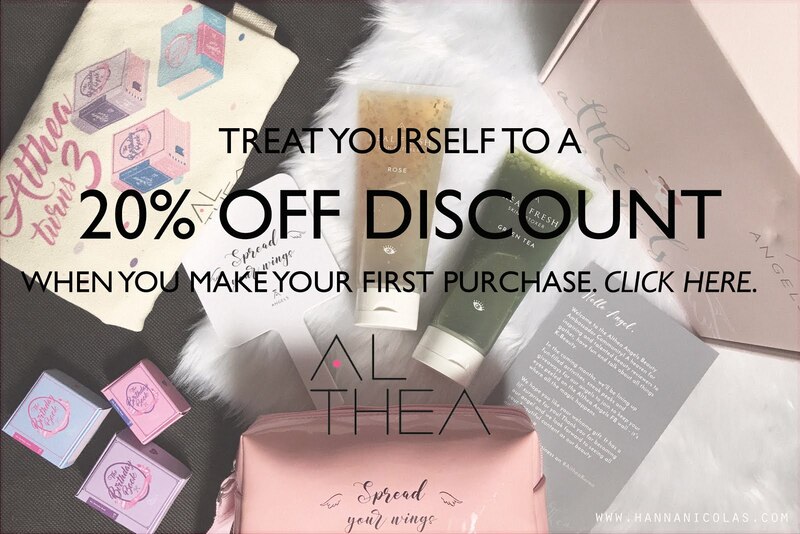 You can grab this by visiting ph.athea.kr and get 20% off your first purchase by shopping and clicking HERE. Let me know if this product interests you! 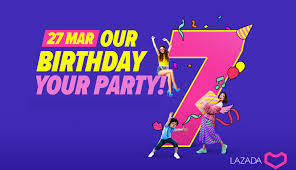 So there, Lazada just turned 7 last March 27, 2019 and I was one who participated and shopped during the one-day event. There were a lot of items on crazy deals (of course with Lazada's numerous partner brands and sellers, what would you expect?) that I could've bought for myself only if I planned ahead of time. Now that I'm aware of the date, I will make sure I got a bigger budget for next year's big event. Lol. Kidding aside, I got myself and mom a few stuff I'll be able to use one of these days. I got three (3) sets for only P119 including the shipping fee. 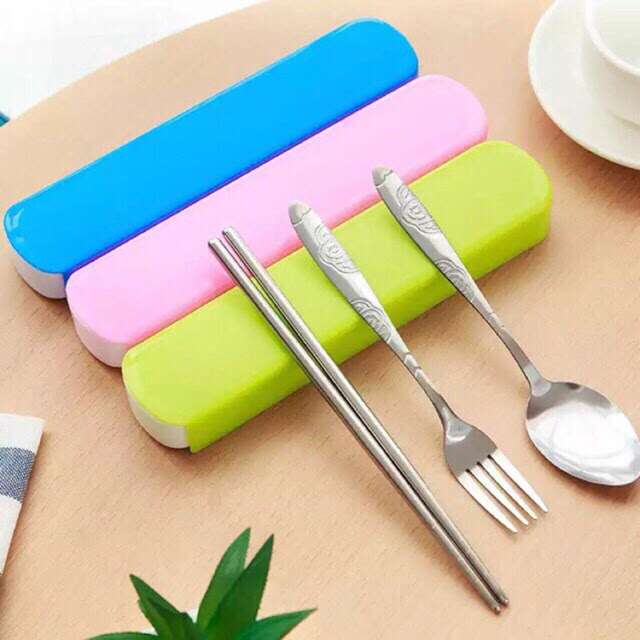 It was on a flash deal and I've been wanting to practice using chopsticks, well, because Korean TV series had made a huge impact on me (lol). Kidding aside, I bought some Korean noodles like Nongshim Shin Ramyun and Beef Bulgogi so I think it would be fun playing like I'm some Korean just without the pretty flawless, porcelain skin and chinita eyes haha! Adulting is real. I previously bought Downy before on a sale price in Shopee so mom was nagging me to buy some more. 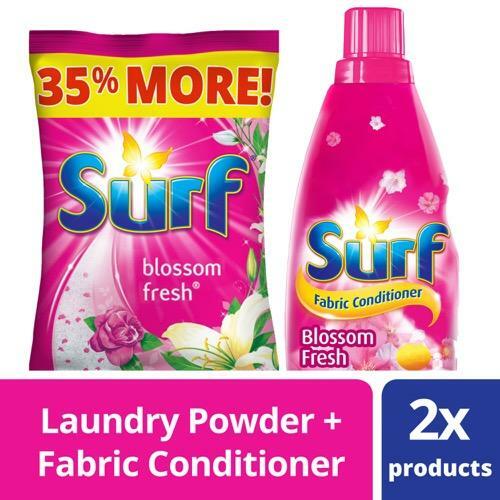 I got two bundles of Surf fabcon for only P398 with a voucher code. Unfortunately, Downy is not yet being sold in Lazada. My cousin's turning 18 this April and she's celebrating with a Bohomian theme. 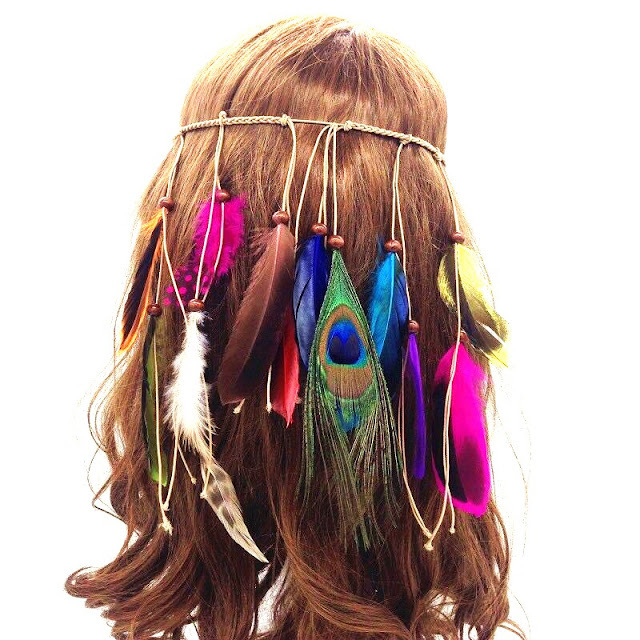 I don't have that much in my wardrobe so I decided to get a headdress instead to give my outfit some Boho vibe. Turns out the product looks so different that the one that's posted online. 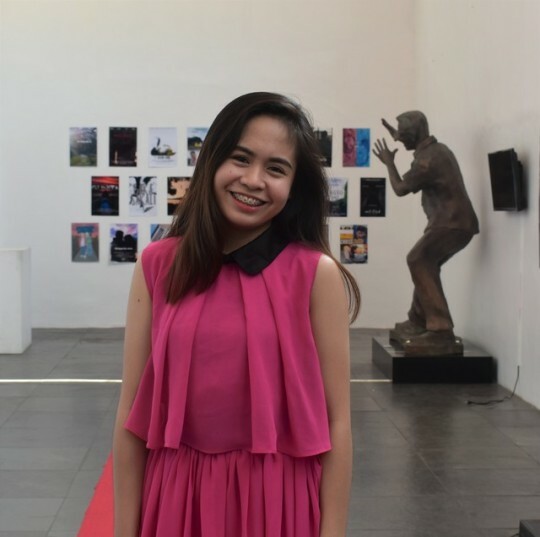 Still looks cute at P119 though. 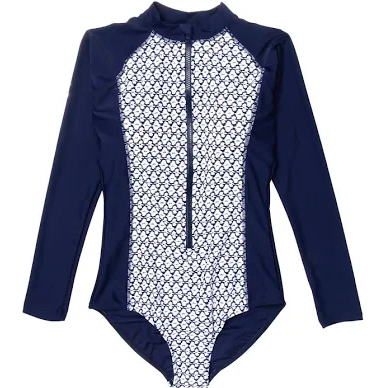 I've been looking for a good quality rash guard for a long time and I'm glad I found this. It fits perfectly and is comfortable to wear. Got it for like P799. I was actually torn whether I'd pick the floral one but I decided for this because it looks more simple. I got it for less than P500 on top of a voucher code. I got it for mom but I was so tempted to keep it for myself lol. I didn't have the chance to get another one of the same style as it ran out of stock. 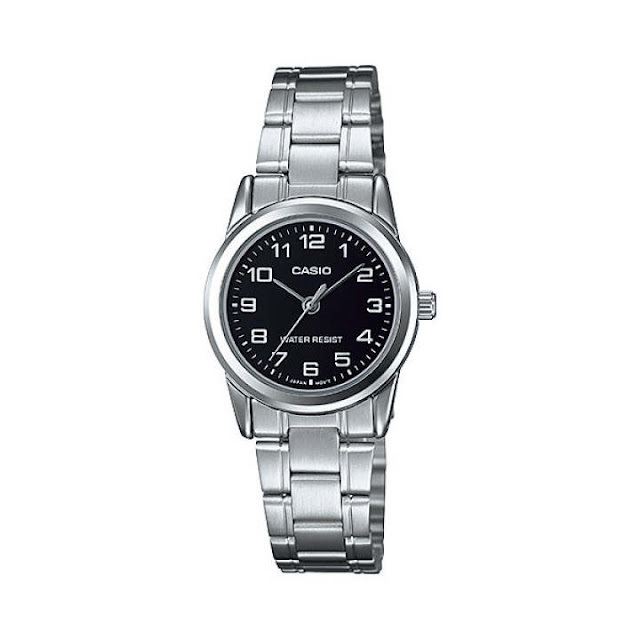 Well, mom liked it, I know she will because she's been nagging me to get a watch for her. Uh, mothers! She used to spoil me before so I guess, it's really appropriate that we spoil them too while we still have time. Casio really last a long time. The one I have has been with me for about 5 years now with minimal fading and buttons are still crisp and working. I've been looking for a slip-on so I got one during the sale. 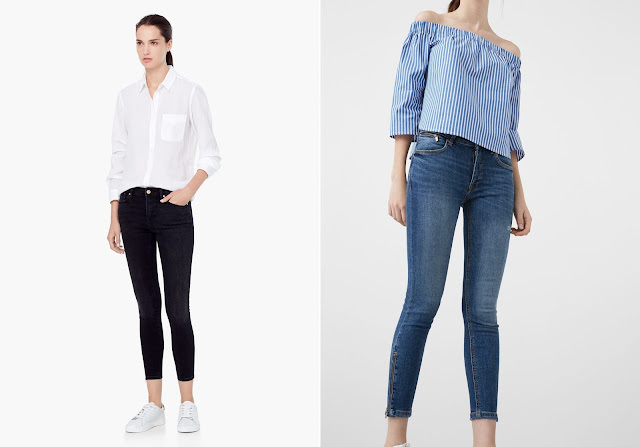 I was supposed to buy the Keds that is triple black but checking through outfit ideas, black and white combination looks better. Thankfully I found these because Keds only has the Size 5 left and Skechers still has the Size 5.5. I was about to get a Size 6 but they ran out fast. Size 5.5 still feels a little tight but because of the flat knit fabric and air-cooled memory foam insole, I still find it radiating style and comfort. Got two of this for mom and tita. Mom loves it and it's best for her skin since it's makeup and skincare in one. I posted a review of this here. It's not on sale when I got them but I was still able to get a discount because of Lazada's voucher code. I love jeans and I find myself buying more and more. I don't have any Mango jeans in my wardrobe and because they had it in my size, I bought two (2) tattoo jeans with zipper details on the leg part. I actually bought two (2) other Mango jeans but they don't fit well like how I expected so I had them returned. As of the moment, parcels are still at home and Entrego hasn't reach out to me yet for the pickup details. So there you have it! I'm so happy with my Lazada orders. Though shipping took some time, all items arrived in pristine condition. Did you shop during their birthday sale? What did you get for yourself?